Living close to a city usually has its perks. We are fortunate to reside a quick 30-minute drive away from (in our opinion) one of the best cities in the world - New York City. With our jobs as influencers, we constantly go to New York City because of work related things such as photo shoots, attending events and shopping. One thing we love to do is turn our obligated business travel into a weekend in the city. With this notion in mind, we decided to create some content for you guys around the experience of a weekend getaway in the big apple when you’re visiting for work or other obligations. The first item on our checklist was to find a hotel that would suit our plans best because New York has an endless assortment of choices from your over the top luxury to more eco-conscious choices. Our goal was to find a place with a great location, amenities and family-friendly environment. After much consideration, we settled on Hampton Inn by Hilton Manhattan- Times Square North in which they were happy to collaborate with us. This property rang all the bells of our wish list. Here's a list of why we believe you should consider a Hampton by Hilton hotel for your next stay in New York City. Staff - the friendly staff was happy to accommodate all our needs from check-in to check-out. This service really stood out because of their 100% happiness guaranteed. Free - the tasty daily breakfast is included with all reservations #BigPlus at all the Hampton by Hilton locations. No need to spend extra money on buying breakfast when Hampton by Hilton has you covered. Note: they also have a breakfast that you can take if you don’t have time to sit to eat. Wellness - we didn’t have time for this but we noticed that our hotel had a gym facility. In fact, most of the Hampton by Hilton properties have a work out room which is great for a quick workout. Connect - wireless companies usually charge extra and like to slow down your data if you go over the limit. But at a Hampton by Hilton property there no need to worry about that because they offer free unlimited internet access to all its guests. 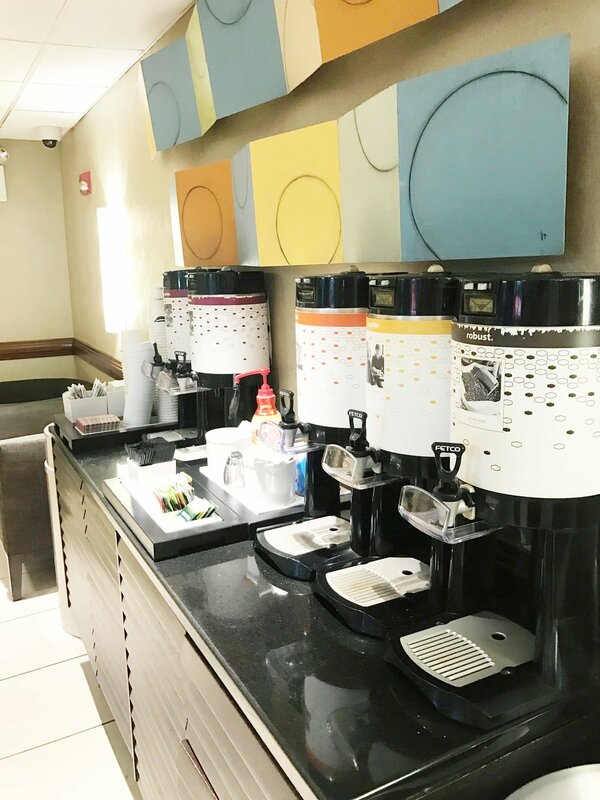 Location - Hampton by Hilton has properties all over the world but equally important is the location in which they are in - for our stay the hotel was conveniently located in Midtown Manhattan close to all the places we plan to go. As far as activities are concerned, we had plenty of choices and here are some of the things you can do for your next stay in New York City at a Hampton by Hilton location. Mind that these are focused with proximity to Midtown. Entertainment - one of the reasons we chose this particular Hampton by Hilton location was because it was close to Broadway shows and trust us this is a must if you come to New York City. Here, we had the opportunity to see the classic Broadway show - The Phantom of the Opera which we highly recommend. Leisure - our hotel was only a few blocks from Central Park. This park is ideal for afternoon walks, exercising, picnics, taking photos and so many other things. Overall, a great place to spend some time if you are in New York. Foodie - well this goes without saying, but NYC had so many spots to get a great meal. The one place I want to highlight is a unique ice cream parlor because there's no place like this anywhere else in the city and they served the tastiest ice cream we ever had. A weekend in New York City is truly an experience on its own. The variety of things to do is endless. 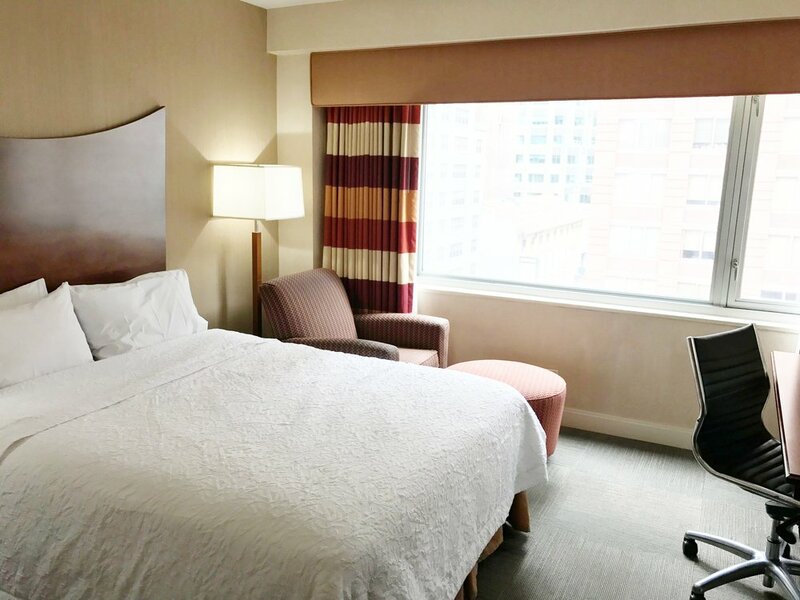 We recommend considering a Hampton by Hilton property for your next business trip or leisure trip in New York City because of its value amenities. All in all, a quick family getaway is always a great welcome idea. We hope you enjoyed our city guide with Hampton by Hilton.